I'm an avid Blur fan, and I know Alex James makes cheese, but I never thought to actually investigate what cheese he made, and where I could try it. That was until I was reading the Castle Terrace Restaurant menu before our lunch on Saturday, and discovered a gnocchi dish with Blue Monday cheese sauce. 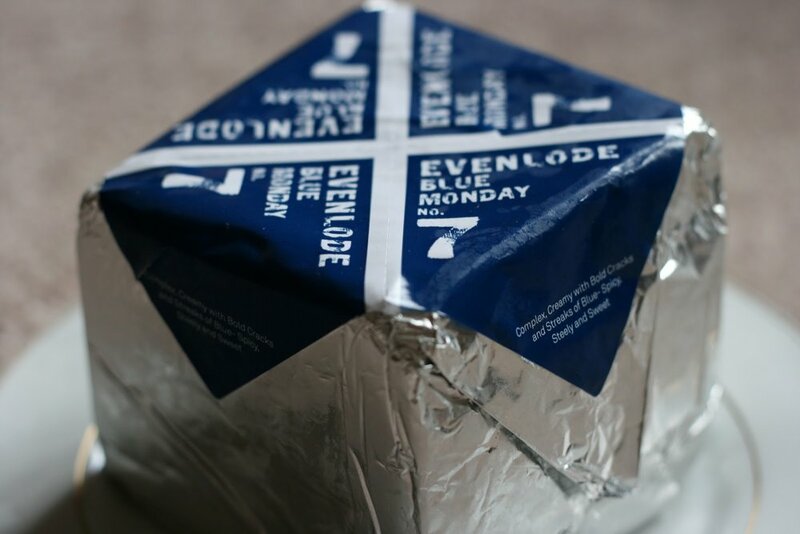 I wondered what this was, and with some speedy googling, discovered it was the cheese made by the Evenlode Partnership consisting of Alex James and Juliet Harbutt. (At this point, the 14-year-old in me reappeared, squealing with of excitement). 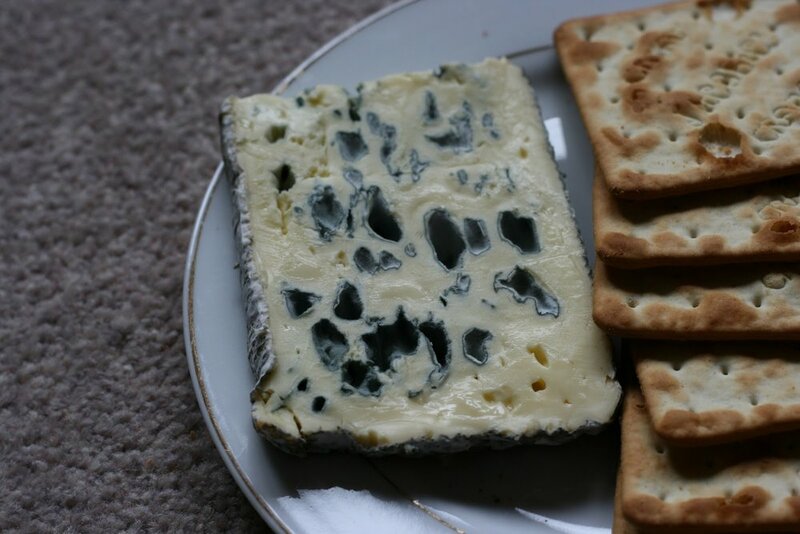 "Complex, creamy with bold cracks and streaks of blue - spicy, steely and sweet"
Upon discovering it was not on the Castle Terrace Restaurant cheese trolley, so began the mission to source my own block. This was a lot easier than I expected as there is a cheese specialist in Glasgow, J.R. Fine Foods who ordered a block in for me. A short wait from Monday (ordering date) to Thursday (collection date) meant that I had plenty of time to be excited, and dream about how delicious the cheese was going to be. So the day arrived. After an epic drive through parts of Glasgow I've never been before, and £8.75 for a 650g block, I had my hands on the cheese. The cheese is exactly as described on the label, and has the right balance of "blueness" for me. I'm not partial to strong, lingering blue cheese but I love a mild and creamy cheese, and this is just it. It has a real depth of flavour that I've not encountered before and I really enjoyed the portion I sampled for lunch. The cheese features the Saltire on the packaging as it is produced in Tain, north of Inverness. I have a whole block to get through though so expect a few more photos of how I've used the rest of the block. Recipe suggestions are always welcome!